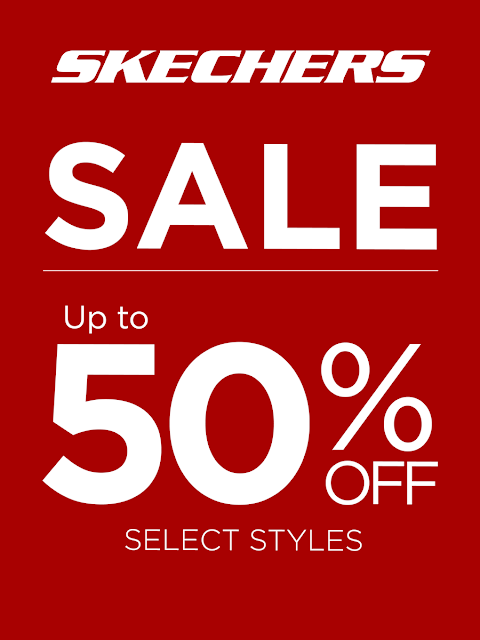 Home / Beauty / Deals / discount / Fashion / shoes / Skechers / Score up to 50% Off On Skechers Shoes this August! Satisfy all your shoe cravings this August! Skechers is treating everyone to an awesome shopping experience with its End of Season Sale featuring up to 50% off on selected items! For all you fans of Skechers’s ultra comfy memory foam, we’ve confirmed such styles are in the mix. But wait, there’s more. We know that one pair is never enough, so shop till you drop with their other promos. Can’t decide which pretty sandal to get? Or are your kids outgrowing their shoes faster than you expected? Now you can buy two pairs for the price of one on select Skechers Sandals and Skechers Kids footwear. If you’ve been dreaming of this hot style with comfortable height, now is the perfect time to grab your favorite SKCH+3 wedge sneakers for a special price of only P1,200! To top it off, all shoppers coming on the first day of the sale get an additional 10% off every P6,000 single receipt purchase. So head to the nearest Skechers concept store and treat yourself and the entire family to comfortable, stylish footwear with these amazing deals! Skechers’s End of Season Sale runs for the entire month of August (August 1-31, 2016) in all Skechers concept stores. Visit Skechers concept stores at Glorietta 2, TriNoma, SM North Edsa -The Annex, SM Mall of Asia, Robinsons Place Manila, Robinsons Galleria, Gateway Mall, Market! Market!, Lucky Chinatown, Alabang Town Center, SM Southmall, Festival Mall, SM Bacoor, SM Dasmariñas, Paseo Sta. Rosa, SM Fairview, Fairview Terraces, SM Clark, Marquee Mall, SM Pampanga, SM Ilo-ilo, Ayala Center Cebu, SM City Cebu, SM Seaside Cebu, SM Bacolod, SM Davao, Abreeza Mall, Gaisano Mall Davao, LimKetKai Mall CDO, and Centrio Mall CDO.